Olympic medalist Michael Phelps is the new face of New York-based online mental health startup Talkspace. In a television campaign launched late last month, the American athlete shares his experience with depression and the ways in which professional therapy helped him cope with his situation. Founded in 2011 by Israeli couple Roni and Oren Frank, Talkspace, operated by Groop Internet Platform Inc., is a web and mobile app that offers users affordable digital mental therapy given by licensed therapists through text messages or recorded voice and video messages. In August, Talkspace raised $31 million from Softbank Group Corporation and other investors, bringing its overall funding to over $59.5 million. 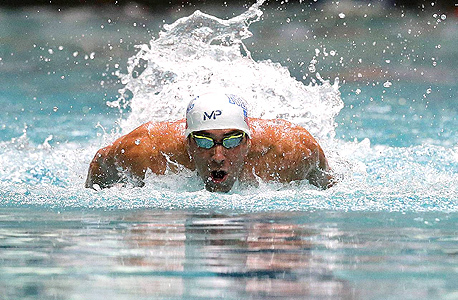 "Throughout my career, I struggled with depression and anxiety at various times, and I found it so difficult to get the help I needed," Mr. Phelps said in a statement. "As I started opening up and talking about my issues, I felt strength, not vulnerability," he added. The campaign is meant to fight stigmas surrounding mental illness that keep people from seeking help, the company said in a statement. "All too often, we forget that mental illness does not discriminate and that you can be affected no matter your background, occupation, or level of success,” Michael Kuznetsov Talkspace’s vice president of marketing said in a statement.